During a series of solar flares which took place on July 26, 2016 the Helioviewer did not only captured the solar event but also a streak of light what appears to be a UFO which is visible for a split second. On July 31, 2016 NASA's Solar and Heliospheric Observatory (SOHO) satellite captured a comet as it approached the sun. It’s unknown if the comet hit the sun or not because there was an unexpected 4 hour skip in the SOHO frames. And on August 2, 2016 SDO NASA reported a lunar transit, but during the transit the camera did not go into science mode as the satellite got stuck in position, according to NASA. Nevertheless the camera managed to take some images of the lunar transit. One SDO image shows the lunar transit and something what looks like a UFO harvesting energy from the sun. Img-1: July 26, 2016 – UFO. Img-2: July 31, 2016 – Sun diving comet. 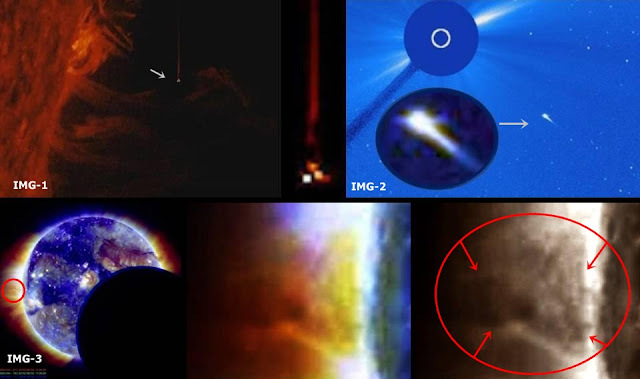 Img-3: Aug 02, 2016 – Lunar eclipse and possible UFO harvesting energy from sun. 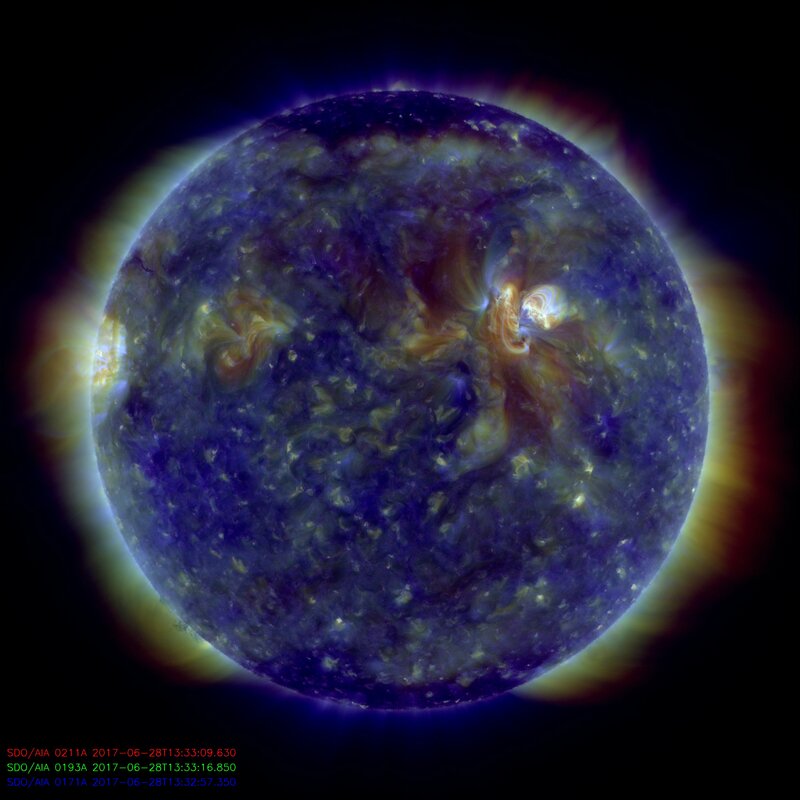 ( Link to the original SDO image: http://sdo.gsfc.nasa.gov/assets/img/latest/f_211_193_171.jpg ). It seems like the NASA satellites always have some issues at the moment something unusual appears in front of the cameras.